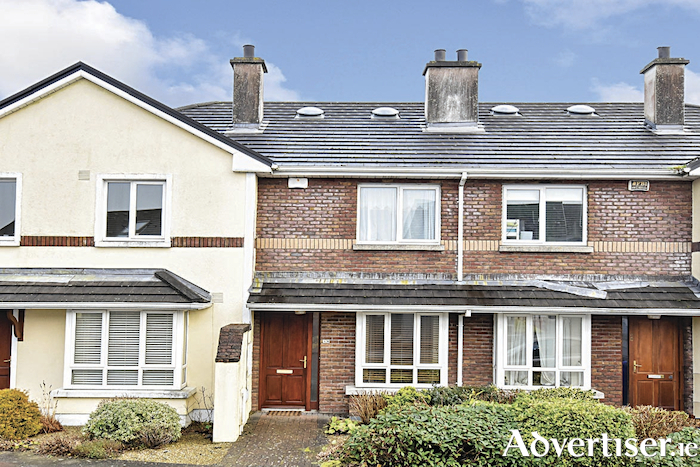 O'Donnellan & Joyce is offering for sale a superb three bed terraced family home located at Durabhan, Roscam, Galway. Durabhan is a beautiful residential estate in Roscam on the east side of Galway and is ideally located close to Galway Clinic, Merlin Park Hospital, and Oranmore village. The property also offers easy access of Boston Scientific, Merit Medical, Creganna, and a host of retail and industrial parks. In addition the estate is serviced by an excellent road and bus network. The Galway to Dublin M6 motorway is also nearby with quick links to Tuam, Limerick, and Shannon. No 39 Durabhan is a delightful two bedroom home offering approximately 68.44sq m of living space. The property is presented in excellent condition by the current vendor with careful attention to detail and decor. Arranged over two storeys, accommodation at No 39 includes entrance hall, living room with bay window and feature fireplace with gas heating, and a fully fitted kitchen leading to the private rear garden, while upstairs offers two spacious bedrooms, both with fitted wardrobe space and one with en suite, and a fully fitted family bathroom. No 39 Durabhan is a bright and spacious property which would be an ideal owner occupier residence or gilt edged investment due to its favourable position close to hospitals and factories, and its ease of access onto the M6 motorway on the east side of Galway city. Viewing is highly recommended and guaranteed not to disappoint. The BER is C2. Asking price is €225,000.